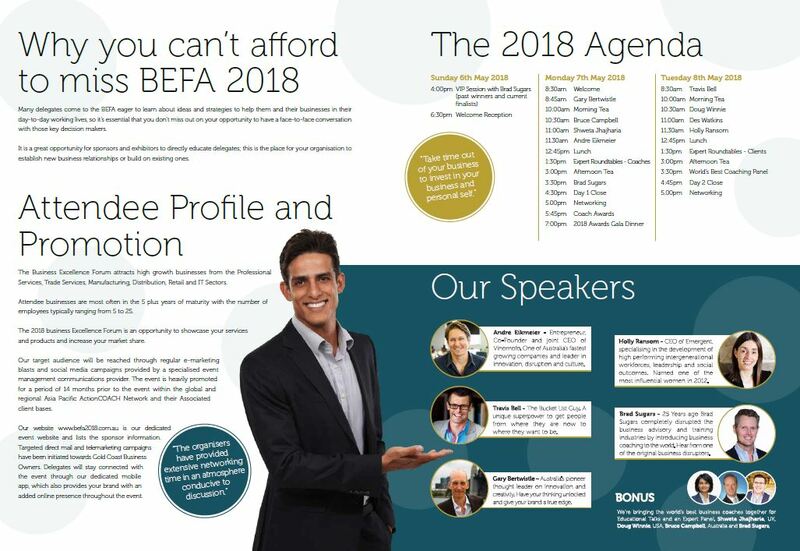 The annual Business Excellence Forum and Awards (BEFA) is the marquee event for inspiring and educating the SME business owners and their teams throughout the Asia Pacific Region. It is just 1 of 7 events held internationally throughout the world. Now in its 8th year, the 2018 event is expected to attract approximately 500+ of the leading SME business owners from around Australia, New Zealand and the Asia Pacific Region.